Many people look for ways to whiten their teeth after they have become stained by years of drinking things like red wine and tea. In addition, some people simply dislike the natural color of their teeth and yearn for a dazzling, bright smile. Whatever your reason for wanting to whiten your teeth, it is importance to be aware of the advantages and disadvantages of the different methods that are available. Whether you opt for laser whitening or use a professional home whitening kit, a peroxide gel will bleach your teeth. 3% peroxide gel is less likely to cause any damage to your gums or to increase the sensitivity of your teeth, but if you whiten your teeth with gel that is closer to 6% in terms of peroxide concentration, you are more likely to see results that are more impressive. 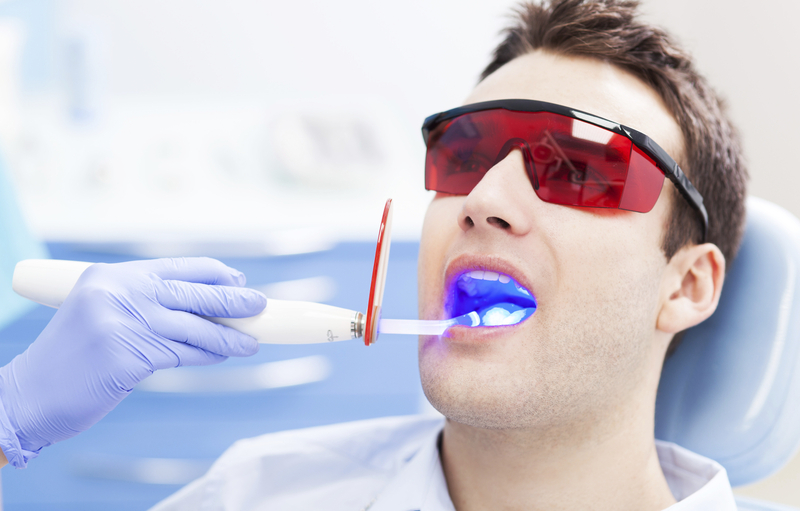 Your dentist can whiten your teeth by using a strong bleaching gel that is activated by a laser. This approach will take a couple of hours to complete, but it will give you instant and impressive results. While the gel works to whiten your teeth, your dentist will protect your lips and teeth from soft tissue damage, and you will most likely be wearing goggles to protect your eyes from both the laser and the peroxide gel. Some patients experience pains in their teeth during this procedure, and after you whiten your teeth you may also find that your teeth are a little more sensitive for a few days. You can whiten your teeth at home by using a weaker bleaching gel that can produce excellent results after several treatments. In addition, these results will typically last a long time. However, if you whiten your teeth without the supervision of a dentist, you need to be aware that you should do so in moderation. There have been cases of tooth enamel damage resulting from people attempting to whiten their teeth to an excessive degree.